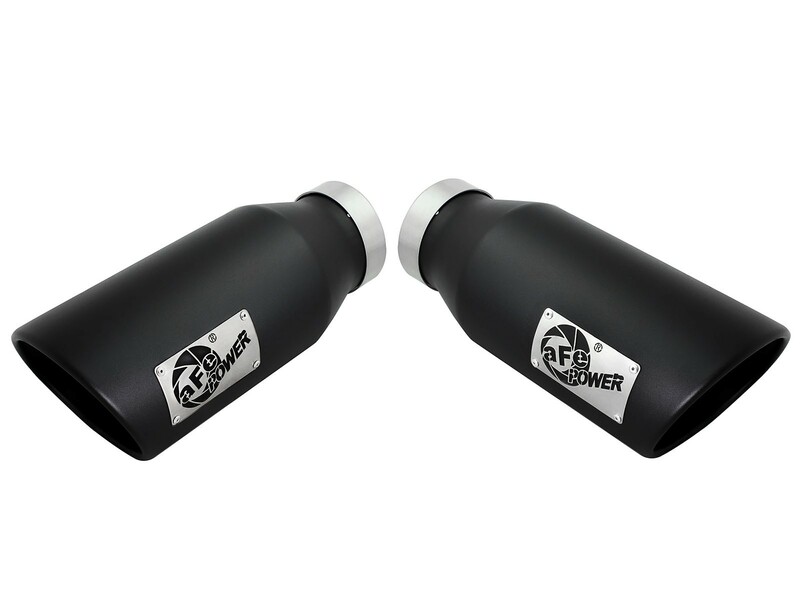 aFe Power is proud to introduce the all new exhaust tips. These tips come as set and have a black finish. 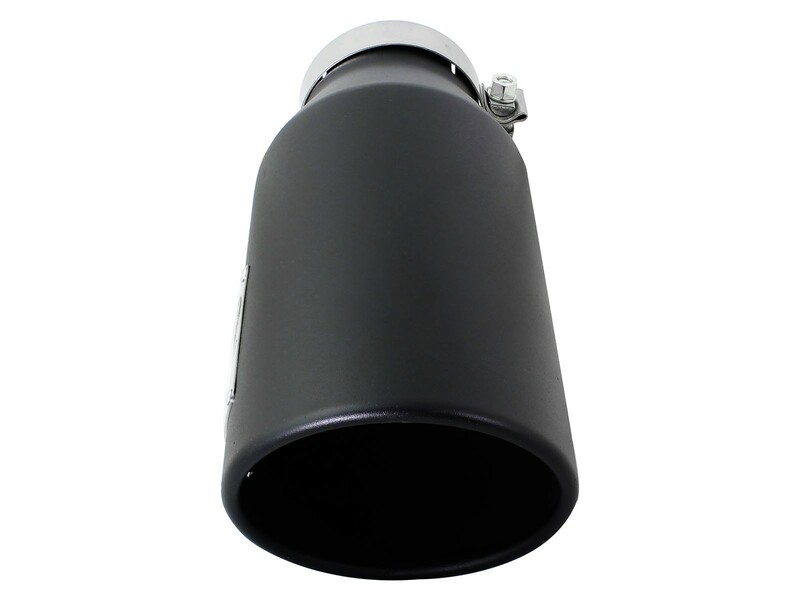 The tips are designed to fit 4" dual exhaust systems. 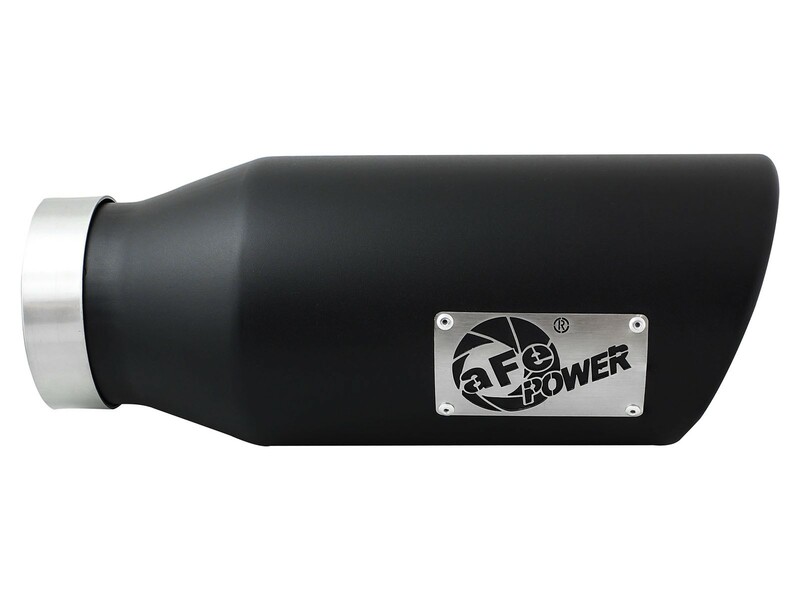 With a 4" inlet x 6" outlet and 15" inch length, these single-walled, angle cut rolled tips comes with unique laser-cut aFe Power logo plates riveted on for an aggressive style. 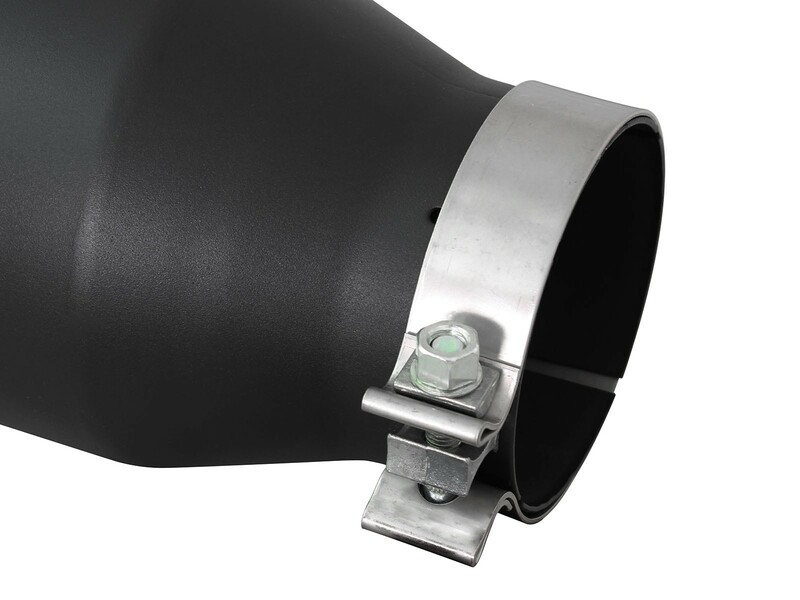 High quality stainless steel band clamps are used for a complete 360 degree sealing surface. 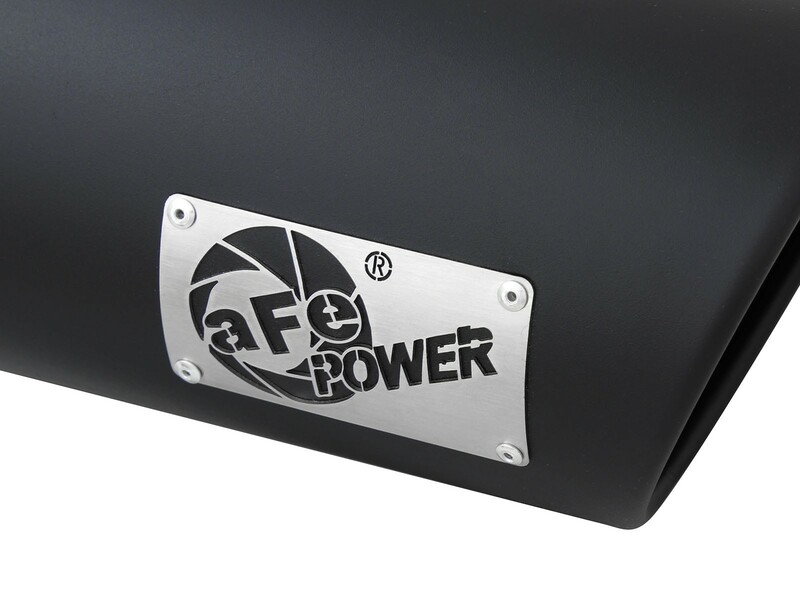 The exhaust tips comes with a unique laser-cut aFe Power logo plates riveted on for an aggressive style.